The Geneva School’s beginning can be traced back to one fateful evening in May of 1993 when a group of close friends met for dinner and discussion about the state of education in America. As the conversation continued late into the night, this group discussed a form of education that was gaining traction in pockets around the country. It was called Christian classical education, and although new to many in the group, it was an educational model whose roots grew deep in the soil of Western Civilization. Sometime after midnight on that fateful evening, The Geneva School was born. With all the wide-eyed enthusiasm of the young children we hoped would find their way to Geneva, we began in earnest to build a school in three short months. We held numerous informational meetings for potential parents, explaining this new model and what we hoped the school would ultimately produce. We established a budget, hired our first teachers, secured a location, created a curriculum and scope-and-sequence, chose uniforms, ordered books, adopted a school song and crest, and made thousands of other decisions necessary to open our doors in August. The school officially began in August of 1993 with thirty-four students and five faculty members. Those were heady days, full of excitement and anticipation of what God might do through this fledgling institution. Many involved in those early days have quietly acknowledged to each other that if they had known all that was involved in starting and sustaining a school, they might never have attempted it. Through it all, however, God was faithfully working to build The Geneva School. It is true indeed that he never gives us more than we are able to bear, and Geneva is a testament to that spiritual reality. A year after opening, Geneva grew to 105 students, requiring the board to find a new campus. An educational building of a local church was secured as our new home and remained so until we moved into our own property in 2003, and which still serves as our main campus today. However, within three years we had outgrown this facility, resulting in a second campus being purchased for our lower grammar grades just a mile away. 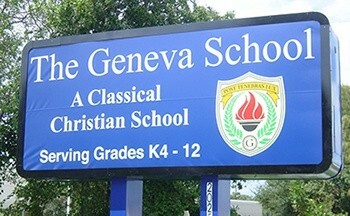 Today, The Geneva School boasts a student body of 500 and a faculty and staff well over 100 strong. We also have purchased a 52-acre parcel of land in Casselberry (five miles northeast of downtown Orlando) which will soon become our final and unified campus. With these challenges in growth have come ever-increasing academic, aesthetic, physical, social, and spiritual opportunities to help shape the minds and hearts of our students. Our administrative, teaching, and support staffs have grown in number and ability to address the needs of our students and families. Academically, students are guided by our dean of faculty, academic dean, dean of students, and our exceptional faculty. 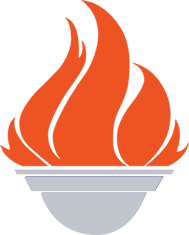 Additionally, the school offers a robust slate of sports, clubs, and social events to enhance the student experience beyond the classroom. And most importantly, every member of our staff is actively engaged in the spiritual development of our students. To these ends, our student services team oversees much of the academic, social, and spiritual needs of students and families. Although much remains to be done in building an enduring educational institution committed to developing young men and women, we are grateful to God for fulfilling even now many of our hopes and aspirations from the that first summer in 1993. In his faithfulness, God is using The Geneva School to help cultivate virtuous scholars who, in turn, will bring light out of darkness to future generations. Post Tenebras Lux. To God be the glory! 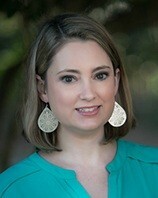 Written by Laura Grace Alexander, founding board member and current faculty member.